Should I Hire a Blog Writer? Up to 81 percent of all consumers trust information and advice found on blogs. That alone is a pretty compelling reason to begin a blog for your business. However, even if you have decided that “Yes! A blog is just what’s needed,” the problem may lie in actually creating the blog. If you are like many other business owners, adding one more thing to your already overloaded plate just isn’t an option. While there is the option to delegate this task to someone in-house, how do you know if they are really going to capture the spirit of your message? If this is the case, then you may be searching for a better option. One to consider is to hire a blog writer. If you are still on the fence regarding if you want to hire this professional, the information here may be able to help you make an informed decision. Do you currently have a blog, but want to monetize it? Or, do you already have a blog that’s helping you make money, but want to make it grow as much as possible? If this is the case, then you need to post new blogs at the very minimum one to two times per week. If you have a huge audience and following, then posting daily is even better. While you may have no problem creating one new post per week when things get a bit tricky is when you try to increase this frequency. This is especially true if you already have tons of other work to do. Keep reading to learn more about the specific advantages offered by hiring a blog writer. When you hire someone to take over your blog, you will see several advantages. These advantages are listed here. When you hire a blog writer, you will have someone to take over everything – from keyword research to writing and posting the blog. As a result, you will have more time to focus on other tasks. Hiring one blogger is great, but what if you had an entire team? Think about all the amazing content you could post on a regular basis. The more engaging, optimized content you produce, the better your rankings will be, and the more willing your customers will be to make a purchase. If you have the same person writing your blog over and over again, it can begin to all run together and sound the same. With a new writer, you can bring in a new voice and new perspective. While there are several advantages of hiring a writer for your blog, there are other situations when this doesn’t make sense. For example, if you run a personal blog, your readers are going to want (and expect) to hear from you. Also, if your blog is brand new, you may want to hold off on growing your writing pool. After all, you want the blog to bring in enough money to justify this new expense. If you are ready to hire someone to help with your blog, and it has grown to the point where hiring a writer makes sense, then you need to find the right person for the job. Some tips to help you with this search are found here. There are many blog writers who go to the various freelance platforms to find work, which means this could be a good place to find a writer. However, due to the volume of writers on these sites, it’s often difficult to determine the best of the best. The main issue with large freelance sites like this is that you have to make your way through countless applications. A better option may be to use a freelance marketplace that only targets writers. There are several of these out there, so check them out when you are searching for a blog writer. Today, you can easily find a blog writer who is willing to create an article for just a few dollars. However, if you want top talent, you have to pay for it, just like with any other field. While you may be tempted to hire someone, who will work for a low wage, chances are the blog you receive is going to be subpar. When it is time to hire a blog writer, you are going to find most writers charge by the word. This means you only pay for the work produced. 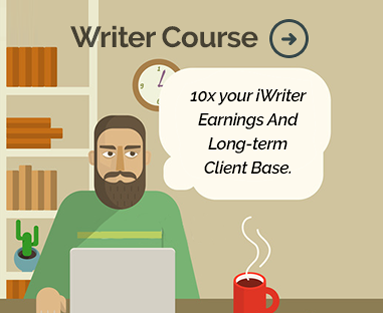 Expect to pay between five and seven cents per word for a quality writer. While this may sound a bit costly at first, consider that an article is likely going to take quite a bit of research, to begin with, which means it’s a smart way for you to spend your money. Also, the more specialized topics you want, the more you need to pay for the right writer. While hiring a blog writer does require you to make an investment, it’s also going to free up your time and ensure you get the quality content you want and need. However, this is a decision you have to make for yourself. If you are searching for writers now, be sure to check out our freelance site. We offer a wide array of content services, for affordable prices. Contact us today to learn more.